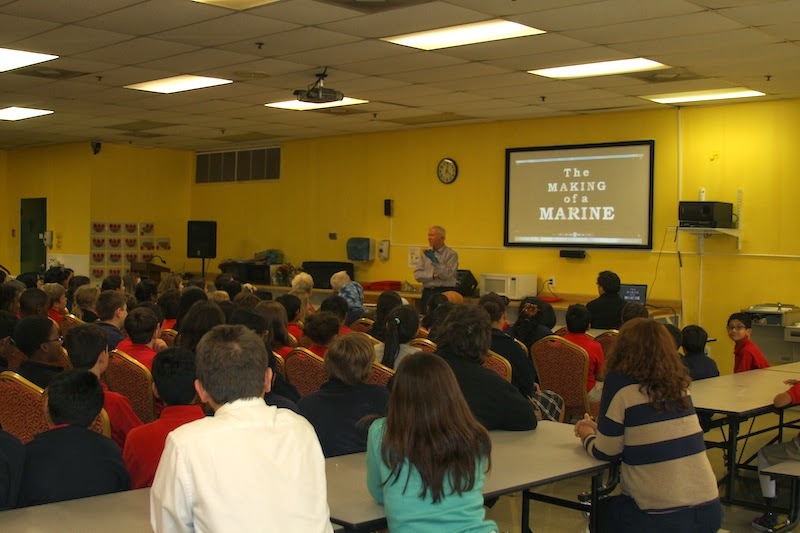 In honor of November 11, Veterans Day, Fulton Science Academy hosted veteran John Maltby today. 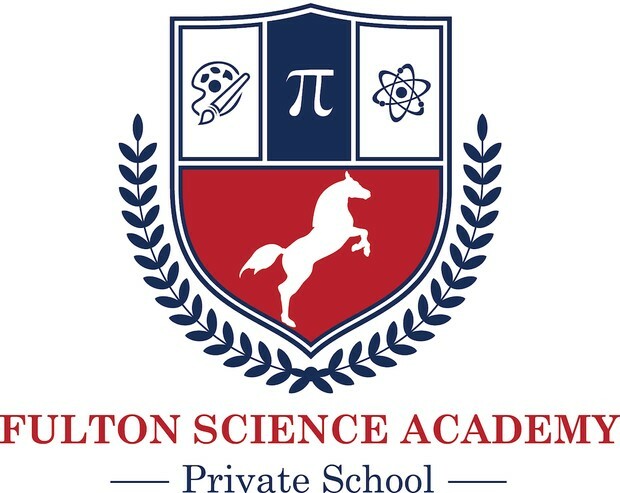 The speech given and the videos shown by Mr. Maltby were very informative and exciting. Listening to historical events from a person who actually lived it is always an amazing experience. 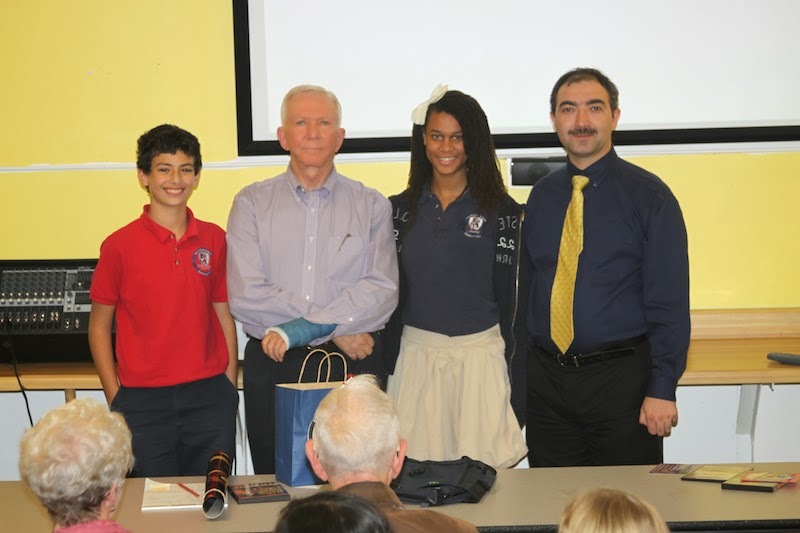 At the end of the speech Mr. Maltby tested student’s knowledge and awarded the winners with posters and pens. We thank Mr. Maltby for his service and speech today. Our students learned many wonderful things from him. Thank you to all Veterans today! We honor your extraordinary work and sacrifice. We also thank one of our wonderful parents, Mrs. Doraiswami, for arranging this wonderful event for our students.